Michael Rowlett is Associate Professor of Clarinet and Music Literature at The University of Mississippi, where he has taught since 2002. 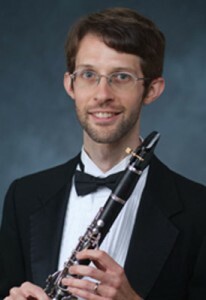 An active recitalist, he has appeared across the southeast, including tours to Alabama, Arkansas, Missouri and North Carolina, and has been invited to perform at national and international conferences, including those of the International Clarinet Association, the National Flute Association, the International Double Reed Society and the College Music Society. His first CD, “Close to Home,” was released by Albany Records in 2012, featuring music of twentieth and twenty-first century American composers. He has been featured as a concerto soloist with the Germantown (TN) Symphony Orchestra and the Durham (NC) Symphony Orchestra, and has appeared regularly with the Memphis Symphony, the Tupelo Symphony and the Louisiana Philharmonic Orchestras. Rowlett holds a D.M. in clarinet performance from The Florida State University, a Masters from The University of Iowa, and a Bachelors degree from The University of North Carolina at Chapel Hill. and his teachers include Frank Kowalsky, Maurita Murphy Mead, Freddy Arteel and Donald Oehler. Rowlett has his own website at michaelrowlett.com.